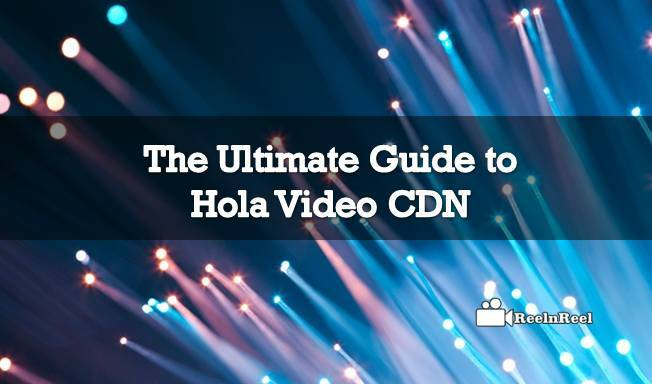 What is Hola Video CDN? The motto behind Hola was to make the web faster, more open and cheaper as well. The promoters of Hola felt that the underlying protocols running the Internet became obsolete and as such, there is a need for freemium web and mobile application to achieve the said object. Hola is a form of virtual private network (VPN) to its users through peer to peer network. Here the concept is redirecting the user’s requests to access certain domains to go through the computers and internet connections of other users of non-blocked areas. Here the geo-blocking identifies the blocked areas and non-blocked areas. Starting their journey in late 2012, Hola Networks Limited became viral in January 2013. Initially, there were 80 downloads a day which went up to 40,000 downloads a day. This happened to be one of the most successful ventures in this field. After seeing the success, Hola started selling access to its huge user-base of course with a new name, i.e., Luminati. It is a paid service with minimum charges payable by the users. A quick look at the technology used by YouTube for flawless delivery of YouTube videos mentions that the platform is providing technology on both sides of the connection – software on the browser side that communicates with software on their servers that together create a great viewing experience. Hola has its platform under the name Hola Content Distribution Network (CDN) promising to deliver YouTube-style video viewing experience for any video publishers. Already there are more than dozen video publishers using Hola CDN wherein the video stream to viewers from multiple sources (servers) in parallel. The utilization levels are very high thereby bringing down the video distribution cost in any geographical location. 1) The Higher speed of video delivery (start, buffering, seek time, bit rate etc). This ensures that the viewers are more interested in your content. 2) Accurate statistics on viewer’s quality of experience. This is the measurement of success of ad campaign conducted by the marketer. 3) Midstream switch of multiple CDN is possible. This will enable fastest and cheapest video distribution. 5) Reduce video start and seek times. 7) No delay in live streaming. 8) Improves video ad performance ad increase monetization. The marketer is naturally interested in having more information about the Hola CDN. Hola can work with any existing CDN, origin server or a combination of the two. Hola CDN can handle content types (VoD and live), progressive download (MP4, WebM and FLV), Adaptive Video protocols (HLS, HDF, MPEG-DASH). • Any HTML5 browser that MSE is supported. • Mobile: Chrome on Android 4.4+, iOS7. • OTT Devices: Chrome cast, Apple TV, Roku, Amazon FireTV. • Video players: HTML5 players, JW Player, Video JS, Flowplayer, Kernel Player. Setting up is made as easy as 1-2-3. Following are step by step setting up. 1) Sign for a Hola CDN account. Hola CDN has been a wonderful tool for the marketers to ensure fast streaming of videos that too flawless (giving the same experience as that YouTube videos). The pricing is minimum and there is no commitment of minimums. There are more advantages and setting up of Hola CDN is also very easy and hence the marketers need to use this wonderful tool for promotion of his business. Check out this wonderful Hola Video CDN and get started today.